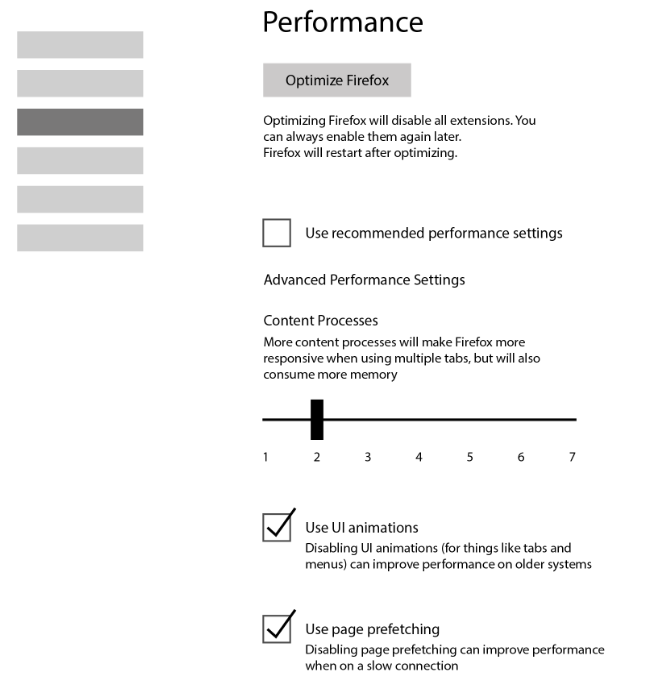 Mozilla plans to add a Performance section to the Settings page of the Firefox web browser that allows users to modify some performance related parameters in the UI. The roll-out of Firefox’s multi-process architecture was a big step in the right direction for Mozilla. The architecture separates the browser’s core from sites and applications. While that is good for stability, and in the future also for security, Firefox users do have little control over the feature right now. Experienced users know how to change the number of content processes to reduce the browser’s RAM usage for instance, but most users are probably unaware of these options. The planned Performance section of Firefox’s Settings page exposes this, and other performance related parameters, on the browser’s frontend. Note: The feature is being worked on right now. Things may change along the way, some may be removed, others added. If the current plan holds, Performance will become an option on the Firefox settings page. It will feature an optimize Firefox button prominently on the page, and a checkbox that determines whether Firefox will use recommended performance settings, or custom ones. A slider to set the number of content processes that Firefox uses (from 1 to 7 currently). An option to toggle UI animations. 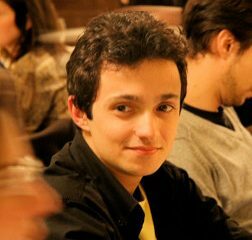 An option to toggle page prefetching. The three options are pretty straightforward. 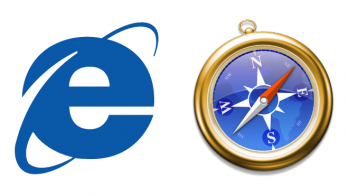 The two toggles may improve performance of the browser on older systems when disabled. The content processes slider may be used to decrease the browser’s RAM usage if content processes are reduced, or may increase the browser’s RAM usage if increased. The latter may be beneficial to stability however. This exposes an option in the Firefox user interface to set a custom number of content processes. The optimize Firefox button may look like the most interesting option on the page. It appears however that activating it will only disable all extensions installed in the browser. Extensions are sometimes the source for high RAM usage or slow downs, and that is probably the main reason why Mozilla added the option to the settings page. A bug was filed on [email protected] to exclude WebExtensions from being disabled when a user hits the optimize Firefox button. You can track the implementation of the new Performance section in Firefox here. The upcoming Performance section exposes performance related options on the Settings page. While it won’t be that useful to experienced Firefox users who know how to use about:config to make those changes manually, it may help less-experienced users of the browser make some of those changes. Now You: What would you like to see in the performance section? The post Firefox gets a Performance Settings section appeared first on gHacks Technology News.